Actually, publishers have ALWAYS been outclassed by writers — who created the very content (product) that made publishers their living in the first place. There’s probably no going back: e-books are going to be the dominant form for publishing pretty soon. Okay — and tablets are likely even to overtake e-readers, as tablets grow smaller and more comfortable to hold and still more versatile than many models of e-reader. On top of that, too, publishers can release books more quickly. Although in traditional publishing, you still have to wait a good year for a book to appear on shelves once it’s been accepted for publication, with e-publishing, of course, those delays — brought about by distribution, printing schedules, etc. — no longer exist. I always thought publishers…and I mean the old-school publishers…were scholarly, sophisticated, intelligent people who made their living by discovering, mentoring and helping new talent get into print as well as managing known authors. But, I am finding I was wrong! 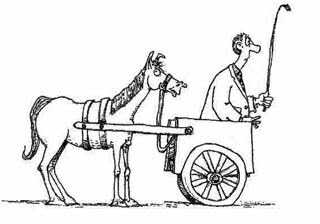 When I started researching the publishing industry, not too awfully long ago, I began to understand the meaning of the phrase “putting the cart before the horse” and also the newer “the tail wagging the dog”. The crumbling publishing business model (always critically flawed!) took egregious advantage of the very talent off whom they made their money! I see the new technology empowering writers as almost a second coming! There are a couple of things here that you may think are unrelated but I’ll try to bridge the gap and make a coherent argument in support of my thesis. I contend that the history and very institution of publishing has lent itself to a culture of a lack of ownership by authors and artists, resulting in today’s hysterical clamoring on privacy issues.